“I chose to learn Raynor Massage with Dave firstly because of the practical nature of the training and due to it being the shortest accredited course i could find. I liked Raynor massage’s intuitive approach ands it’s links with Shiatsu and Thai Massage (which I already had trained in). Joining the course felt like a big financial commitment but I took the plunge mainly due to Dave’s willingness to talk the training through with me, taking time to listen to my concerns and answer my questions and he did not disappoint. I went for full immersion with the week long residential in Devon and I’m really pleased I took that option. The course was hosted by a lovely couple who took good care of us all. Each day began with a fantastic yoga class and ended with us lolling around the fireplace or in the hot tub under the stars. Dave structured the course really well combining theory and practical classes. There was plenty of time for recaps, practice and questions and it was good to dedicate the time purely to the training in a lovely, peaceful, rural setting. The massage itself is very intuitive and I found I picked it up easily. I think this is a good course to take if you already have a flair for massage and want to acquire more structure and technique. “I flew in from The States to take Dave’s class. After much research, my wife and I liked that the the Raynor method had a blended Asian technique while standing on it’s own as an effective form if sports therapy. “As a yoga teacher who loves to travel, I was looking for another string to my bow to offer me freedom and financial independence. I also wanted to develop a hands-on skill to complement my holistic, healing approach to yoga teaching and practice. Massage was the obvious inroad. It wasn’t until I heard about Dave’s Raynor Massage training course however (via The Retreat People Retreats) that I decided to take the leap. The course was everything it promised to be and more. Challenging, yet in a relaxed and supportive environment, with practical, to-the-point instruction from ever-patient Dave, we grew from novices to professionals in just a few days (and made some amazing friends along the way!) I am now regularly giving massage treatments with full confidence in my ability to bring a safe, enjoyable and healing experience to whoever may come through my door. “The Raynor massage course and retreat was one of the best decisions I’ve made and is without doubt an amazing experience and totally challenging. 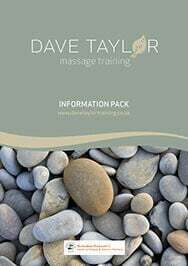 Dave Taylor has all the experience and knowledge to deliver with clarity and precise training skills to make you be confident and get to really understand the world of therapy and massaging. As well as technical theory and practical hands on massage practicing it all came together. I learnt so much in one week and got to meet some great people. I was lucky enough to be selected to receive massage from Dave during the course. I’ve had a lot of massages both home and abroad but this was ‘next level’. The energy and tension release was incredible & it left me feeling like new. He found tension I never thought I had. Now I can do the same thing with my clients, which has made them come back for re-visits. “If you desire to change your life in few days, there is nothing easier and better decision than to go through Dave Taylor Massage Training. It is a wonderful experience & Dave is an impressive teacher at the same time. In five days you are on your way to your financial freedom while you help people to feel great in few hours. Raynor Therapy is highly powerful and effective, it deals with deep placed emotions, toxins placed in the body, loosen tensions in all the body. This is not an ordinary massage, this is a real massage therapy. There are various reasons to take part in. You want to start your own business, you want to be independent, you just want to help your friends & your family to be as good as new? Don`t even think about it, it is what you are looking for. A lot of people suffers from pain in one`s back, neck, lower back, abdomen, hands, legs, head. One does not feel good because of the stress he/she goes through, because of the toxins placed in the body. “Being part of the Raynor Massage Therapist’s family is a privilege. Knowing this amazing technique and making people feel better has changed my life.